The first installment in a new fantasy series The Land of Dragor The Gift of Charms by Julia Suzuki was released at the beginning of September. 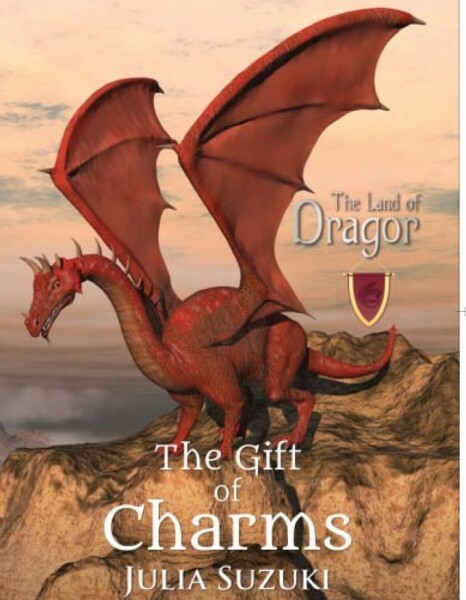 The Gift of Charms marvelously reinvents the dragon fantasy novel by placing the dragons in the places of the main characters and the humans as the unknown and dangerous creatures. Instead of the more typical wise and mysterious and ancient natural force, the dragons have well-developed personalities and flaws and foibles. They have to go to school to learn to be dragons as readers would recognize them. You can explore the world Suzuki has created at a really fun web site. The detail of the dragon clans and rich characters are beautifully captured on the web site. I was instantly charmed by Suzuki’s style and the variety of characters. The story is the perfect combination of the worlds of Harry Potter and Spyro and I already can’t wait for the rest of the series. You can follow Julia Suzuki on Twitter @JuliaSuzuki_uk, on Facebook, and on Goodreads.